Now we have numerous choices when it comes to budget in-ear headphones. You even can get some wireless in-ear headphones for less than $20, and at the same price range, a pair of in-ear headphones with genuine wood housing would be something you can’t look past. We’re checking out the ZealSound HDE-300 in-ear headphones. I received the product from ZealSound but my review is 100% honest and unbiased. The whole packaging and material are quite eco-friendly. Inside the box, you can find a nice carrying pouch, a cord clip, 3 pairs of ear tips in different sizes and the HDE-300 earphones. I’m quite impressed with the design and build quality of the ZealSound headphones. 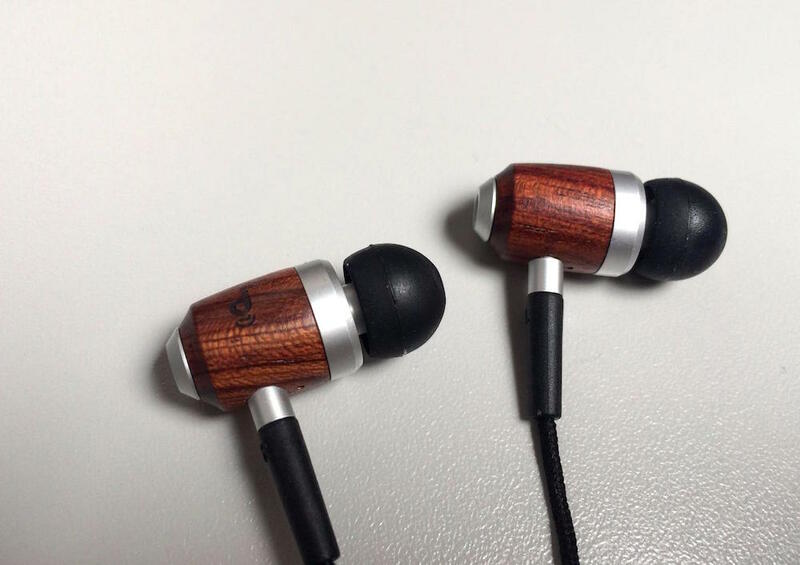 Notably, the HDE-300 is not made of plastic like most other cheap headphones, ZealSound decided to use genuine wood because the material could deliver a more natural resonance and unparalleled acoustics. As you can see, most musical instruments like violin, guitars or drums are made mostly out of wood, so using wood on the headphones is expected to recreate sounds naturally. The earphones come with pre-installed medium ear tips, I didn’t have to change the ear tips because they fit well without digging into my ear canals. Once you find out the right ear tips, they headphones will stay stable and only fall out when you are walking or running. Besides, the ZealSound headphones are so comfortable that I can wear them for a couple of hours. Anyway, I still think that Zealsound should improve the design so that the earbuds don’t fall out when we move. I guess many people would choose wireless headphones instead of the ZealSound because they are at the same price range. However, those cheap wireless headphones are terrible as I mentioned in my previous reviews, the ZealSound HDE-300 is obviously a much safer choice in this case. Besides, I find the in-line controls are much easier to use than controls on the earbuds. Unfortunately, there is only one multi-function button on the cable, many users will appreciate the addition of volume rocker. I’m quite surprised with audio quality of some recent low-budget headphones, and this is not an exception. I’ve used the headphones for just a few days and there are a lot to love about the sonic characteristics. The ear tips can block ambient noise pretty well, so you will be able to enjoy music almost anywhere. Before testing the headphones, I already expected a muddy sound coming from the 10-mm neodymium magnet drivers with wood enclosure. However, the sound is much better than I thought. It is a warm sound with punchy bass, fortunately, the bass is just slightly boosted, so it won’t become prominent and make the overall sound muddy. Therefore, I still can hear the mids and highs, this is a huge advantage because many cheap headphones make my ears fatigued after just about 20 minutes. Although the sound still has some limitations like narrow soundstage and the bass is not really deep and thunderous as full-size headphones, they are totally acceptable for such a cheap pair of in-ear headphones. I also prefer more present mids and highs, they are a little hollow and dry at the moment. You can’t go wrong with the ZealSound HDE-300 headphones. They are available for about $20 on Amazon and they are really a great replacement for stock headphones that come with your smartphone.